Just a couple of recolors of a great little mesh by 8-3. 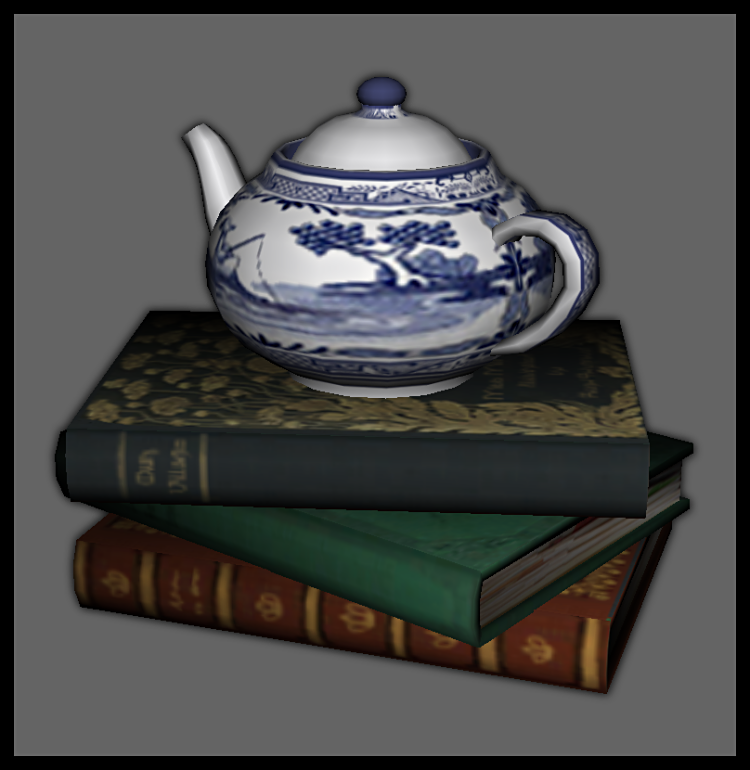 The same Blue Willow teapot sitting on top of old books or new books is perfect for modern or vintage games. Mesh included. 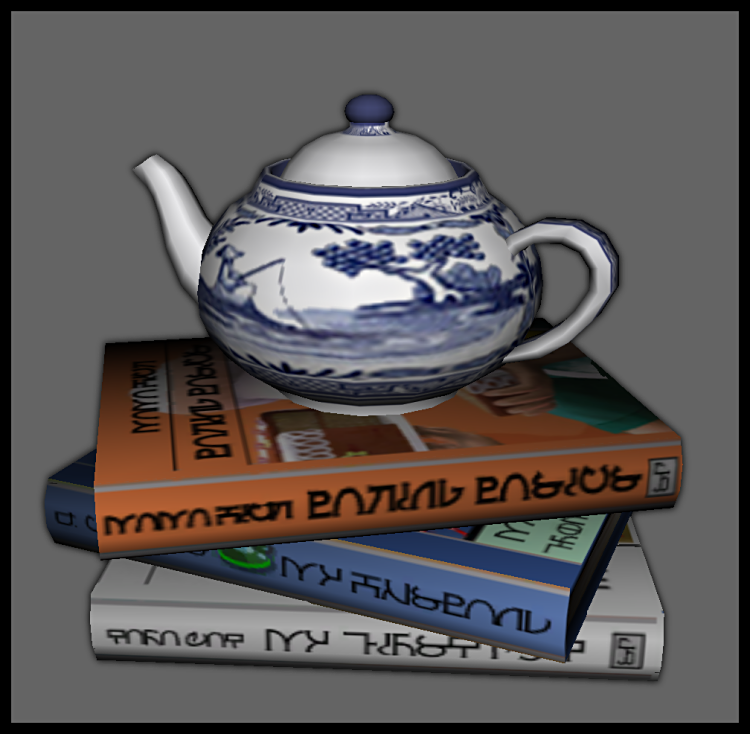 I love the fact you have the books in simlish too!